As a country based almost entirely on buying and selling, we love to buy millions of different goods and services. There is but one flaw to this cycle, time. The most valuable item we all possess is time. Losing time spent shopping when you could be spending time with your friends or family. On average, we do about 75 percent of our shopping online. Having a monthly or quarterly subscription box gives you all the essentials you need and your time back. But, how do you save money using a subscription box service? 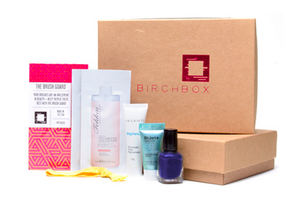 In 2010, Birchbox introduced the first niche based subscription box to the market. If you have never heard of the company, every month subscribers can receive a care package of selected makeup products. Depending on the month you could receive a special themed box that contains all the items you need. Now, it seems there are hundreds of different subscription boxes that you are able to choose from. Everything from survival gear to healthy snacks available for purchase and delivery. If you want to save money shopping each week for groceries you can choose to use companies like Blue Apron; a service that gives you pre-selected meal plans for your busy week. For you sci-fi and comic fanatics if you want your monthly fix of all those characters you love you no longer have to go to your local comic or novelty shop to buy them. Instead, you could use services like Lootcrate and SuperGeek Box to provide you with all your nerdy apparel. 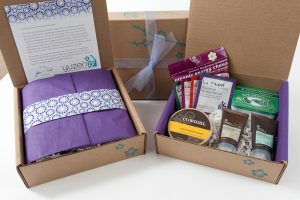 Where can you save money using a subscription box service? The best way you could find out how you can start saving money using a subscription box service is by looking at the things that you already buy. Most of the time when we are shopping for items it is to hold us over until our big shopping days. If you find that you are going to the grocery store every other day to purchase snack for your lunch you can most likely find a subscription box that can cover it. Take Nature Box, for example, every month you receive a box of snacks selected by you that are healthy delivered directly to your home. This saves you the time spent pacing the aisles and searching through cluttered shelves trying to find a tasty snack. Usually, the snacks are able to hold an individual or family. You can even save money on your clothes, as well. Yes, it is true, for all those people that are holding on to their tattered and distressed clothes, there is a subscription box for that, as well. There are some companies that will assign you a personal stylist that will pick pieces out tailored specifically for you. Depending on the company you could receive a new outfit for as little as $100 a month. Having a steady stream of wearables on tap each month can help you gradually revamp your wardrobe. You can also replace those old undergarments each month, as well. Basic Outfitters is a subscription service where you can choose a 4-pack of socks, 3-pack of underwear, a pack of basic tees and a pair of joggers each month. As stated on the site this would normally cost you about $120, on Basic Outfitters you only spend $60. Subscription boxes allow you to get quality products and save simultaneously. 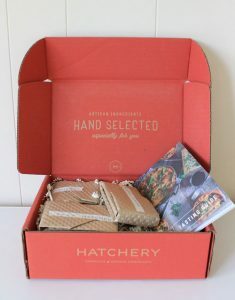 Whether you are looking for a new wardrobe or a better food, a subscription box may be a better option for you. Go through your daily budget and find out what you could possibly use or what you need. If you want to eat better snacks try Nature Box. Buying razors can become an expensive luxury item, however, if you use Dollar Shave Club you can get high-quality razors for a lower price. Start condensing your budget and start saving with subscription boxes.